Teachers play an important role in the lives of students. Frequently college graduates point to the efforts of teachers that refused to give up on students who struggled to recognize their own greatness. Occasionally students from underserved communities would become de facto members of families because a teacher did not want a student to fall victim to pervasively violent communities. Within the Black community, teachers are integral to the success of students that encounter a variety of obstacles including poverty, low expectations, racism and stringent school discipline policies. 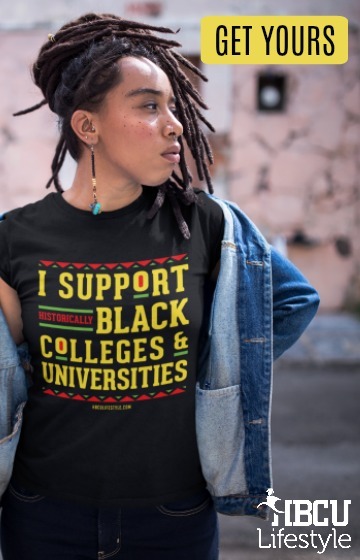 Throughout Jim Crow Black teachers from historically Black colleges and universities (HBCUs) shielded students from overt racism while encouraging them to work harder. Today, HBCUs continue the tradition of graduating skilled, nurturing and committed teachers. Despite the increasing focus on teacher certification requirements graduates of education programs are fighting to close the resource gap between Black and White students. 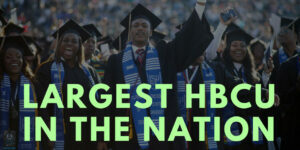 Ensuring HBCUs continue to produce graduates is critical to providing Black students with role models. For the first time in United States (US) history ethnic and racial minorities make up the majority of students in public schools. Unfortunately, the majority of the students also live in poverty. Essentially students who attend public schools are more likely to be poor and come from minority communities. 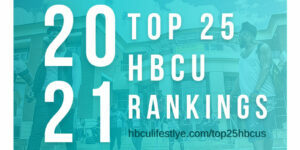 For this reason, HBCUs have to continue to produce graduates to meet the growing need for teachers. Black students who attend public schools are disproportionately taught by teachers from different ethnic or racial backgrounds. According to the U.S. Department of Education more than 35% of students are Black or Hispanic but less than 15% of teachers are Black or Hispanic. Only 2% of the teachers in the U.S. are Black males. 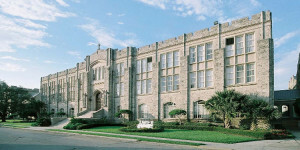 The top producer Tennessee State University offers an array of undergraduate and graduate programs with concentrations in biology, chemistry and elementary education. HBCUs including Virginia State University collect data to examine student performance on teacher certification tests and program enrollment averages. Fayetteville State University (FSU) has a Black Men Teaching (BMT) program, which recruits high school students to enroll in the teacher education program after graduation. Once students matriculate at FSU they receive support from faculty to limit student attrition. Collectively each institution is committed to increasing the number of Black teachers in communities throughout the United States. HBCUs are the key to ensuring Black students have access to teachers with similar lived experiences. Dr. Larry J. Walker is an educational consultant focused on supporting historically Black colleges and universities (HBCUs). His research examines the impact environmental factors have on the academic performance and social emotional functioning of students from HBCUs. Dr. Walker’s work has been published in Diverse Issues in Higher Education and University of Pennsylvania’s, Center for Minority Serving Institutions (MSIs). He is the co-editor of a book on graduate education at HBCUs. A former Congressional Fellow with the Congressional Black Caucus Foundation (CBCF) and Legislative Director for former Congressman Major R. Owens (11th CD) Dr. Walker has several years of experience examining policy issues. During Dr. Walker’s tenure on Capitol Hill he worked on the No Child Left Behind Act, amendments to the Higher Education Act (HEA), fought for increased funding for HBCUs and worked closely with stakeholders. Dr. Walker earned his Ed.D. from Morgan State University.